LG has finally launched its 6th generation of its most successful smartphone flagship series, the LG G6 finally makes its debut in the Middle East. 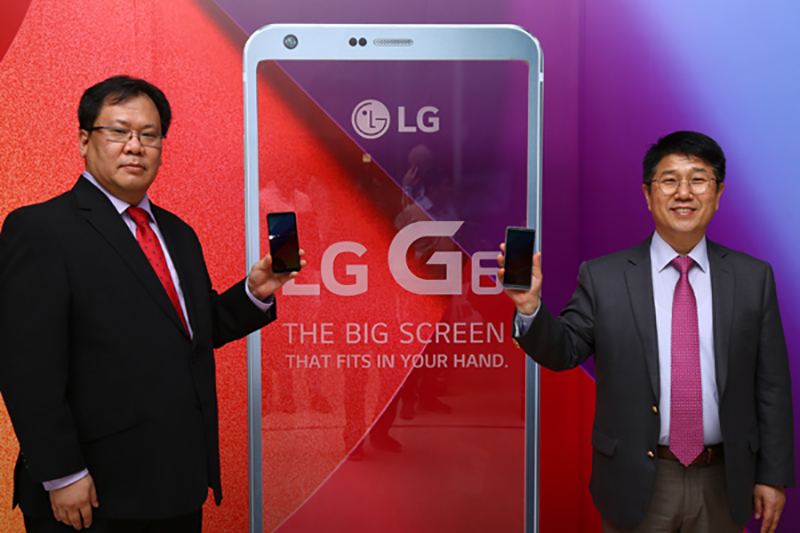 Today the smartphone giant propelled the LG G6 smartphone in the United Arab Emirates (UAE). The device highlights a striking new design in comparison to previous releases, the design is complimented by a true to life seeing the background, outstanding screen to body proportion and an implementation of a wide angled camera. Composed in light of buyers criticism and users assessments of the device, the LG G6 is a simple way to deal with premium cell phones, with an emphasis on the components purchasers needs, most eminently an extra large screen that really fits well in one hand. The display of the device is spectacular and is what sets it apart from every other device on the current market. The LG G6 boasts a 5.7-inch QHD+ with a 2,880 x 1,440-pixel resolution, an industry first 18:9 screen aspect ratio, and a FullVision display. Contrasted with the traditional 16:9 aspect ratios, the 18:9 ratio offers all the more screen space and provides for a more immersive experience when using and playing with the device. Even though the oversized screen on the LG G6, the device is relatively easy to hold, and can easily be used with just one hand. The engineers at LG Electronics who designed the device have done a very good job. In addition to the 18:9 aspect ratio, the LG G6 is the only smartphone to feature and implement technology created by Dolby Vision. Furthermore, the LG G6 also implements HDR 10, and with the Dolby Vision technology, it makes for a High Dynamic Range (HDR) use. This in result allows the device to provide a great range of colors and more detailed photos. Therefore, the release of this device in the Middle East will surely be a success and will compete in the smartphone market with the likes of the latest Samsung Galaxy S8 and Samsung Galaxy S8 Plus.